Until recently, Bloomingdale’s (owned and operated by Macy’s Inc.) only operated upscale stores. But today, it is becoming more and more engaged in the discount segment of retailing with its Bloomingdale’s: The Outlet Store, as it seeks to (1) lure additional consumers attracted to the Bloomingdale’s name while (2) still maintaining the aura of its traditional stores. 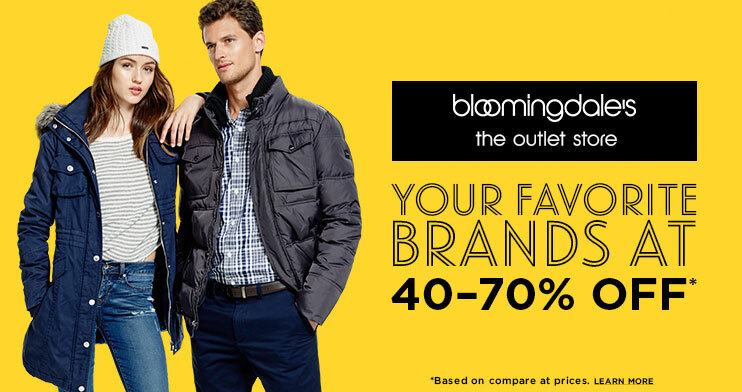 Click the image to access Bloomingdale’s: The Outlet Store online. This entry was posted in Part 1: Overview/Planning, Part 2: Ownership, Strategy Mix, Online, Nontraditional, Part 3: Targeting Customers and Gathering Information, Part 4: Store Location Planning, Part 5: Managing a Retail Business, Part 6: Merchandise Management and Pricing, Part 7: Communicating with the Customer, Part 8: Putting It All Together and tagged Bloomingdale's, customer expectations, discount, location, Macy's, merchandising, opportunity, outlet store, trends. Bookmark the permalink. Alfred Bloomingdale started as a discounter. My late father-in-law regaled me with stories of shopping there in those days. Unfortunately, the push by Macy’s into creating new discount brands or brand extensions simply reflects (1) a late recognition of the decline of the middle class in the US and (2) a lack of creativity on the part of management. Macy’s shoppers simply don’t have the disposable income of 20 years ago. Most Americans are worse off today than 20 years ago, and that may not change for another 15 to 20 years, if then. The blame falls largely on Congress and an unwillingness to confront any of the issues that are destroying disposable income — healthcare, education loans, underwater mortgages, etc. The result of crushing disposable income is affecting Macy’s, Wal-Mart, McDonalds, Sears — basically anyone in the mass merchandiser category — and its starting to reach into lower end luxury goods (e.g., Coach). You can’t do “same old, same old” practices in this environment and expect them to work in the current environment. The companies that do that will simply become roadkill. Instead, you have to rethink your relationships with your customers and your employees if you want to have a viable business. There are a lot of tools for repairing the situation: better customer service, intelligent targeting of discounts, frequent customer incentives, etc. You can use these tools to deal with the current and evolving reality or you can follow what Sears appears to be doing — a long, slow, painful path to extinction.